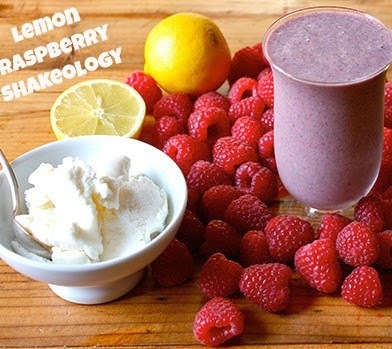 Raspberries, fresh lemon, and mild ricotta make this Shakeology smoothie taste like a fancy Italian dessert. 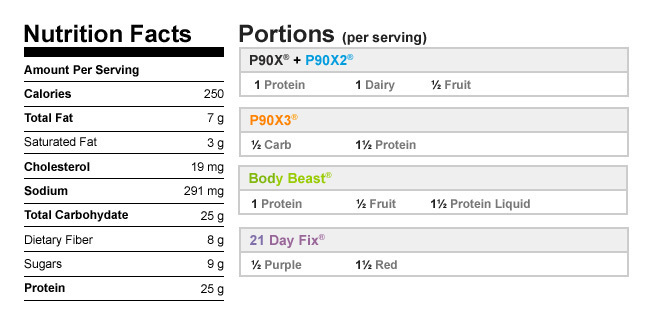 It has 25 grams of protein per serving, and only 250 calories. 1. Place water, lemon juice, ricotta, Shakeology, raspberries, and ice in blender; cover. Blend until smooth. Totally Clean Banana Pudding Recipe! 55 Snacks Under 150 Calories! 10 Popular Diet Tips That are Bad Advice!